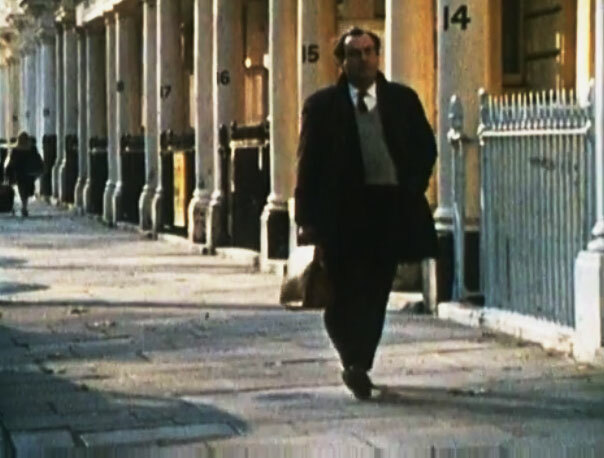 In the 1980’s introduction to the repeated BBC Ian Nairn series, Nairn Across Britain (1972), Jonathan Meades suggests that the series still managed to capture Nairn’s sense of poetics and character in spite of “the filming techniques seeming a bit dated, as nothing dates quite like the recent past”. 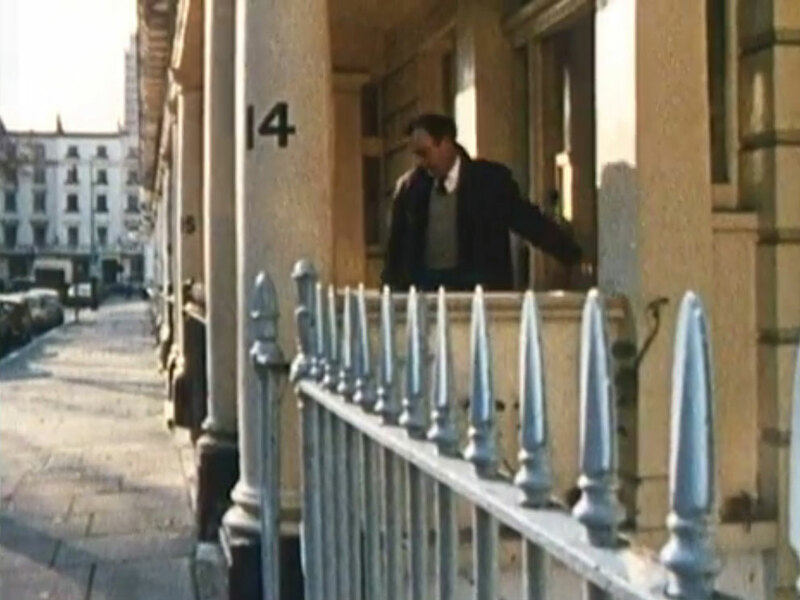 Though Meades is right in his effusing about Nairn’s character – an endlessly watchable, impassioned, melancholic wanderer – he is not quite right in asserting a disparity between Nairn’s arguments, style, and content with the visuals of the program itself, directed by Barry Bevis and with camera work by Bob Sleigh. In actuality, the way that the program captures the imagery of the landscapes and buildings, manages to mimic the way that Nairn talks and wonderfully reflects the various perspectives of his written arguments. Most astonishingly though is how the series actually captures some of the momentum of his poetic writing and the general aim of this article is to highlight a few simple parallels between Nairn and his program’s aesthetics, with the overall goal of showing in earnest the very visual nature of his writing; perhaps the ultimate reason why his work has become so popular in recent years. The first episode of Nairn Across Britain was originally broadcast in September, 1972. The program, like much of his work and writing, is built around a journey in order to highlight the grounding argument surrounding the concept of “subtopia”; that place and locality should be (and was) aesthetically different through a natural growth of place before being swept away by post-war town planners. The journey of this episode begins in London, specifically at Marble Arch, travels in a straight line (contrary to the general ease and meander of the M1 motorway) through to Northamptonshire, and eventually to the heart of Manchester. The journey, however, does not begin straight away at Marble Arch but, like all of the episodes of Nairn Across Britain, starts at Nairn’s house in Warwick Square near Victoria Station. The way that Bevis frames Nairn’s trip is, I believe, essential to building Nairn’s character and the way this introduction is built up is always a wonderful prelude to the aesthetic arguments that the writer almost consistently indulges in. In many ways, the introduction is humorous because it is so contradictory to the man himself. The sequence shows Nairn, dressed like a worker of the city – attaché case, suit, smart coat – heading out of number 14 and towards his car. 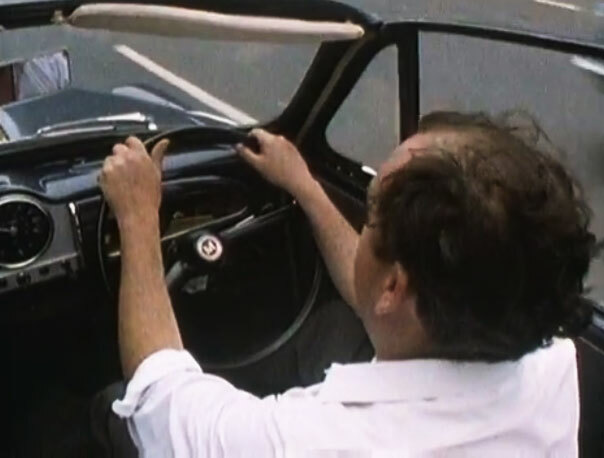 The moment breaks almost instantly when the car is revealed to be a Morris Minor; a gentile and quiet car, the opposite to the modern city-servant character. 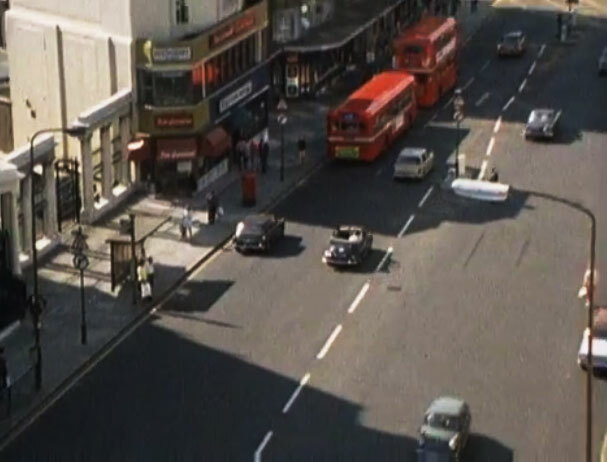 The introduction seems even more ironic in this episode as the character drops almost instantly in the opening segment from Marble Arch, where the sunny weather means Nairn has discarded the city smartness, rolled his sleeves up, taken his tie off, and loosened his top button; it plays like a rather subtle, if gentle, nudge. Nairn’s preoccupation with architecture and townscapes is said to come from his time as an air pilot, and Bevis captures this aspect wonderfully by building up Nairn’s visuals, going against the narrative that simply following the man on camera would have achieved, and daring to jump between extreme perspectives. As Nairn delivers his opening speech about Marble Arch and its Roman road “pointing like an arrow to the midlands and the North”, Bevis switches between angles of perspective; starting from the very highpoint that looks down upon the square, Tyburn Way, and the like, before coming down to earth with Nairn sat at the arch itself. It may seem like a simplistic idea, and it defies an overt reading in this sense, but it frames the program’s rhythm within Nairn’s own use of language instantly; where the perceptive details that Nairn brilliantly switches between with ease (and with equal dexterity to Geoffrey Fletcher) is shown to be given equal proportion within the program’s editing. It is even more fitting that Bevis chooses to slowly track forward towards Nairn in hindsight of what he suggests about the road. He talks of the Edgware Road’s pull, its magnetism in drawing its travellers up North (a pull that Nairn felt naturally anyway). The camera subtly mimics this, tracking forwards to the point of almost moving past Nairn, as if sharing the writer’s same eagerness to follow the road out towards the Midlands and beyond. It may simply have been a last minute decision with no thought beyond its aesthetic appeal, but the serendipity of its capture of Nairn’s own character makes it a wonderfully realised piece of visual poetry. Nairn himself in his 1966 classic, Nairn’s London, writes enthusiastically of this area though barely touches on where he is sat for this program’s introduction. Instead, his full praise is reserved for Connaught Square just round the corner, though it is telling that it is its relationship with Edgware Road that really puts it on the map: “It is one of the places where topography stops being something on a map and starts to live. 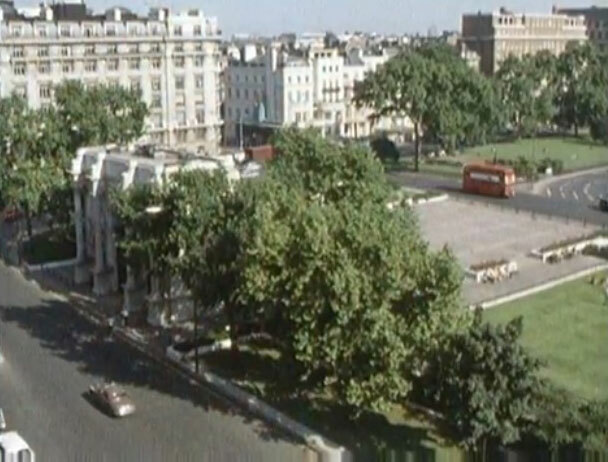 You feel how the Edgware Road is and how the park is.” (1966). It’s not long before he’s framed following the road in the car. The camera switches between the highpoint view down to the straight, arrow facing road, and then right into the passenger seat next to Nairn as he guides the viewer through the road and its (largely poor) architectural changes, before it morphs into Cricklewood’s suburbia. Bevis’ decision to keep alongside Nairn as he drives is the final framing of likeness with Nairn’s writing (beyond the mere obvious characteristics) and the program’s editing, endlessly repeated throughout the following two episodes. For, by becoming Nairn’s passenger at Cricklewood, the program recreates the text’s ability to bring in Nairn’s technical duality; where the absolute immensity and layout of a place can quickly switch from a bird’s eye panorama to the most minute of design details in the jump of a sentence or, for that matter, the edit of a cut. Wanders: Thomas De Quincey’s Soho.